OMICS Publishing Group celebrates the Women's day by giving discounts on Publishing. OMICS Group International, an open access publisher and a scientific event organizer, congratulate women across the globe on the eve of International Women’s Day. OMICS Group International Conferences is happy to welcome all the researchers, academicians and industrialists interested in promoting Women’s health through participating/contributing research papers at OMICS Publishing Group. 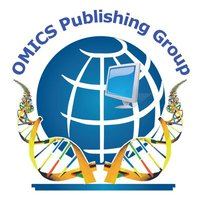 OMICS Publishing Group is a leading open access online journal publisher that publishes 350 online science journals in the fields of Clinical, Medical, Engineering & Technology, Environmental, Management and Life Sciences. OMICS Group Conferences organizes over 100 international science conferences and events like science congress, international workshops and symposium. With the mission of making healthcare and scientific information open access OMICS Group International has expanded to 400 open access publications and has already announced its 2015 conferences. On this day of International Women’s day OMICS Publishing Group is rededicating itself for the promotion of Women’s Health Care across the globe, as they form more than 50% of the global population. OMICS Group medical journals publish the Journal of Women’s Health Care and Gynecology & Obstetrics journal. On this occasion Journal of Women’s Health Care is offering 25% concession for the submissions received by March 20th 2014. Gynecology & Obstetrics journal is offering 40% concession for the submissions received by March 20th 2014. Journal of Gynecology & Obstetrics is a peer reviewed medical journal encompasses the biological, surgical, clinical & medical aspects on Gynecologic oncology, Maternal Fetal Medicine, Urogynecology, Reproductive Medicine, etc. The journal is aimed at providing readership with current research topics and comprehensive reviews on all aspects of medical & surgical Gynecology. Journal of women's health care is an academic journal which aims to provide optimal health and healthcare to adolescent girls and women, with focus on the prevention, diagnosis and management of fertility disorders and diseases of gynecological and breast origin, as well as related genetics, pathophysiology, epidemiology, clinical reports etc.